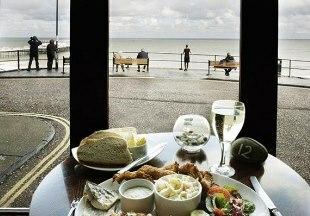 The 200-year-old Red Lion Hotel boasts many original period features and enjoys a wonderful position on Cromer seafront. There is a lounge with sea views and a traditional bar offering real ales. Free private parking. AA 4-star inn. 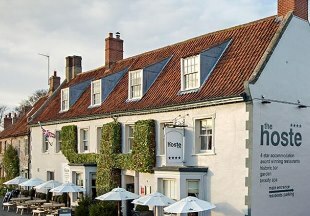 The Hoste is situated at the heart of Burnham Market, just 2 miles from Norfolk’s sandy beaches. The uniquely designed, stylish rooms include some with free-standing bath, terrace, or views over the village green. Guests can choose to eat in the hotel's award-winning restaurant, conservatory, lounge, garden or traditional bar. Dishes are prepared using locally sourced, seasonal produce. The Hoste Beauty Spa offers a range of treatments and a hot tub. 4 Star Hotel. Admiral Lord Nelson's father Edmund opened 'The Nelson' in 1805 in historic Burnham Market, also known as 'Chelsea-on-Sea'. 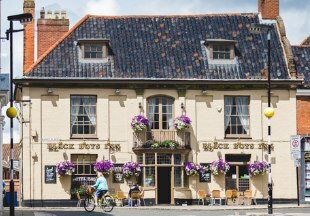 Only a stone's throw from the beaches of north Norfolk, the inn offers the perfect base for exploring this part of Norfolk, offering superb drink, food and accommodation. AA 4 Star Inn. Luxurious bedrooms, superb food and a cosy bar serving real ales and homemade lemonade await at this 17th century country pub, 30 minutes drive from Norwich. 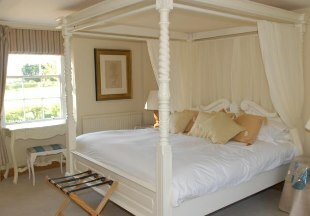 Our bedrooms combine period features with 21st century facilities. 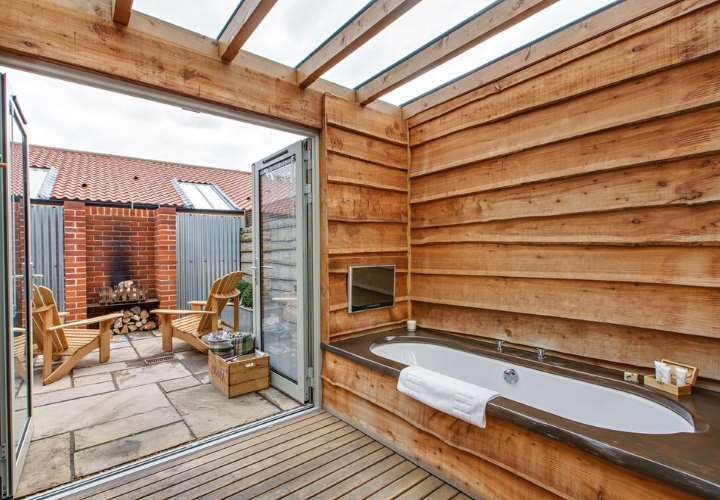 Some rooms also have a sauna, outside bath and patio with fire pit. There are also lovely gardens, a childrens playground, free WiFi and free parking. 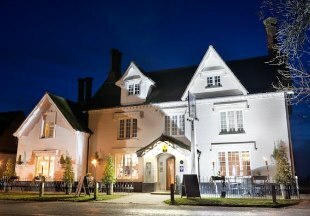 Boasting a contemporary yet cosy style, the Kings Head Hotel is a hidden gem in the heart of Norfolk's 'Gold Coast', close to Sandringham, Burnham Market, Thornham and Hunstanton. Set in the picturesque village of Great Bircham, this country hotel enjoys lovely views. Dine in our stylish restaurant or relax in our welcoming bar with open fireplaces. 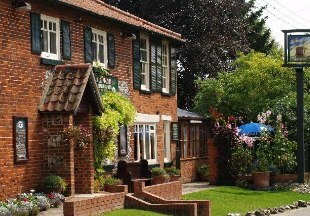 Welcome to the Olde Windmill Inn, a 17th century village inn steeped in history and "olde world charm", with comfortable en-suite rooms, friendly bars and a restaurant serving great food and fine wine. Easy access to the A1065 and A47. Kings Lynn 30 minutes drive. Just 7 miles from the centre of Norwich and 5 miles from Norwich International Airport, the Marsham Arms Inn has been fully refurbished to include a cosy log burner, a tap room serving locally brewed real ales and a bright garden room overlooking our terraces. 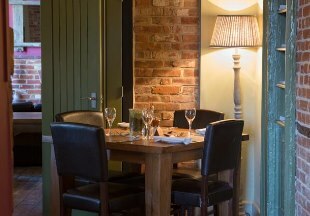 The inn also boasts 16 new or freshly refurbished en-suite rooms and a restaurant serving an extensive menu. VisitEngland 4 Star Inn. Just 500 metres from the beach and seafront at Hunstanton in North Norfolk, The Lodge boasts elegant en-suite rooms, many with sea views. 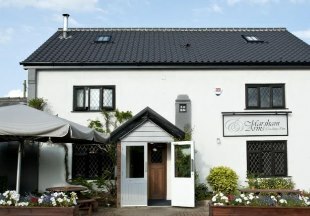 There is also a popular contemporary bar offering bar snacks, cocktails and real ales, and the stylish restaurant serves a modern Briish menu with seasonal specials. 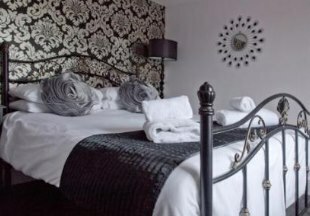 A warm welcome awaits you at this attractive inn, offering spacious en-suite rooms with newly refurbished bathrooms. Ideally situated in the beautiful Norfolk countryside, convenient for the North Norfolk Coast, the Norfolk Broads, the historic city of Norwich and the Airport. There is a friendly bar with a wide selection of beers, lagers and wines. The restaurant offers an excellent selection of freshly cooked food and also specialises in offering a wide selection of wheat and gluten free meals. Bar snacks are also available. 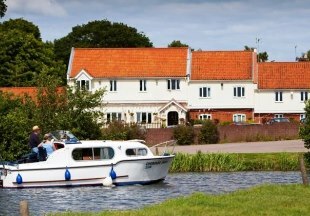 The Wayford Bridge Inn is set beside the pretty River Ant at the ancient crossing point at Wayford Bridge in the Norfolk Broads. Many rooms enjoy lovely river views. We offer a choice of dining between our elegant a la carte restaurant or the more informal bistro, or you can relax in the inviting lounge bar with open fire. Norwich and Great Yarmouth are within easy reach. Welcome to Norfolk and the Norfolk Broads. Whether you enjoy messing about on boats on the Broads or prefer exploring the pretty countryside, villages, seaside towns and historic sites, Norfolk is an ideal location for you! "One of Norfolk's top visitor attractions, the National Trust's Blickling Hall is situated just outside Aylsham and was once the family home of Anne Boleyn, the second wife of King Henry VIII. With the impressive hall, gardens and so much more to see, make a break of it and stay overnight at the nearby Black Boys Hotel. 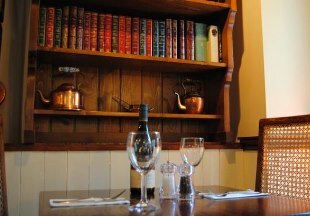 This Grade II listed hotel offers great food, real ales and wines, and five comfortable en-suite guest rooms." Norfolk is bordered by Suffolk, Lincolnshire and Cambridgeshire. If you want to widen your search, why not browse through our selection of hotels and inns in Suffolk, Lincolnshire and hotels in Cambridgeshire.